A glossy, textured, dark brown leather angles across the front over a golden tan leather and is mirrored on the back. 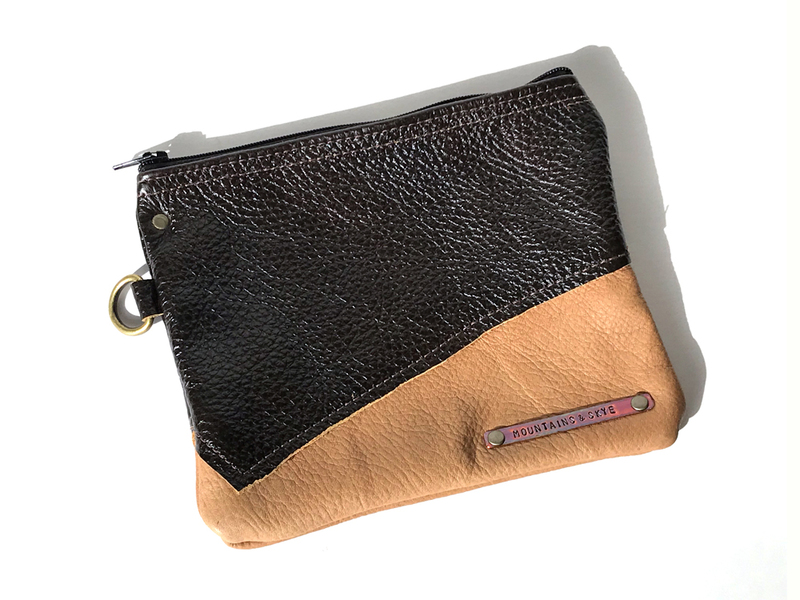 This one-of-a-kind zipper pouch is 5.5″x7″ – perfect for a small travel/toiletries/makeup bag. Hand-picked genuine leather selected and paired for a truly unique and one-of-a-kind piece, sewn on a vintage heavy-duty sewing machine, and finished with a hand-stamped plaque.